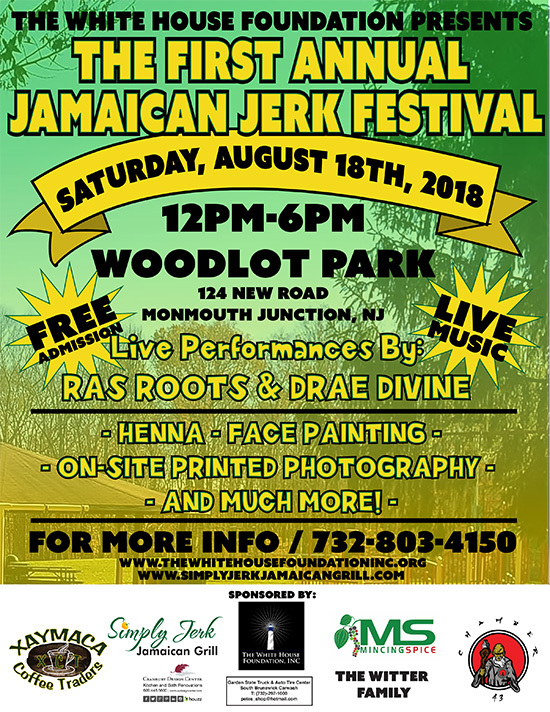 The White House Foundation Inc a 501(c)(3), in partnership with Simply Jerk™ Jamaican Grill, will be hosting the first annual Jamaican Jerk Festival. One hundred percent (100%) of the proceeds will go to provide educational resources for students in Jamaica. There will be live reggae music and entertainment, henna, face-painting, authentic Jamaican cuisine and much more.The event is FREE.